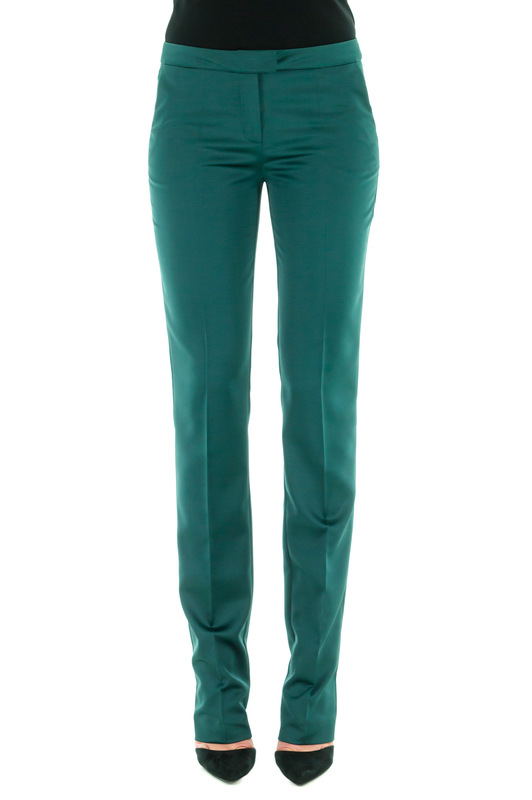 A beautiful pair of slim pants in a luminous green stretch satin. Perfect cut and fit to give lenght to your figure. 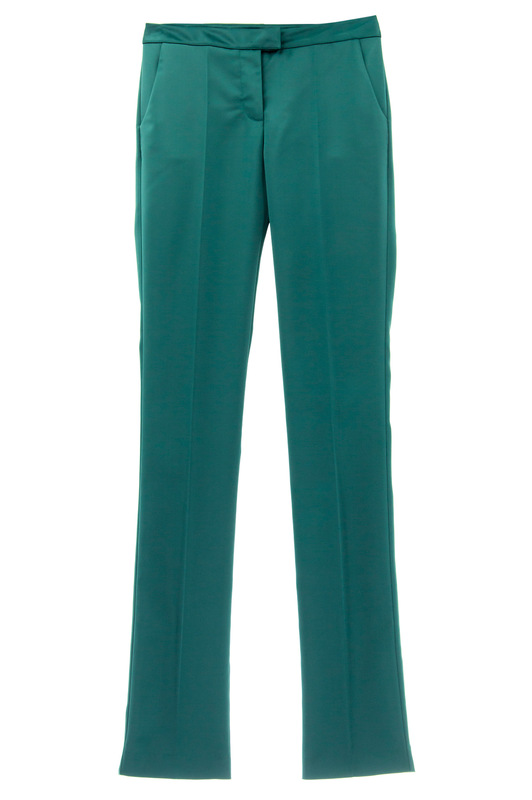 Ideal for an evening cocktail or an everyday original outfit. Wear it with black shirts and your highest heels. Composition : 96% polyester, 4% élastan.